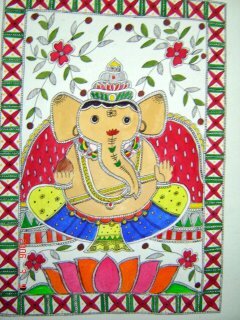 The painting depicts Ganesha, the Hindu god, believed to be the Remover of Obstacles and the god of domestic harmony and of success. 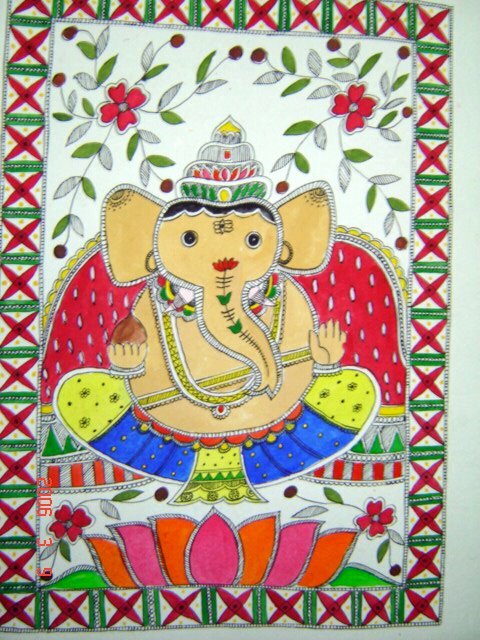 He is the most revered of all the Hindu gods, and is always invoked first in any Hindu ceremony or festival. Ganesha is the son of Parvati and Shiva, the Destroyer. 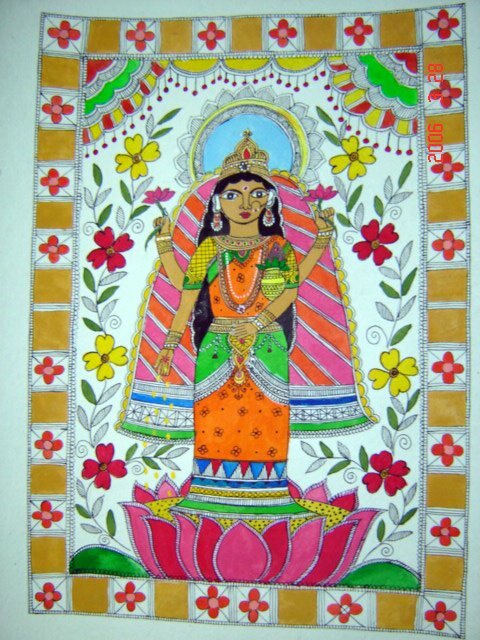 Lakshmi is the goddess of wealth and prosperity. 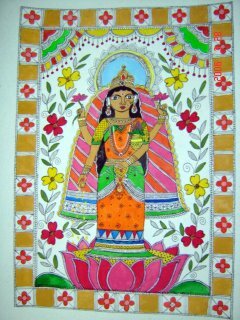 She is worshipped during the Diwali celebrations in India in a big way. People keep their doors opened in the expectation that Goddess Lakshmi will come to their house. Such is the venerability attached to Lakshmi. In this painting, she is standing on a fully-blossomed lotus and holding a lotus. Lotus stands for beauty, purity and fertility. In the painting, shown gold coins are flowing from her hands. This indicates prosperity for those who worship her. 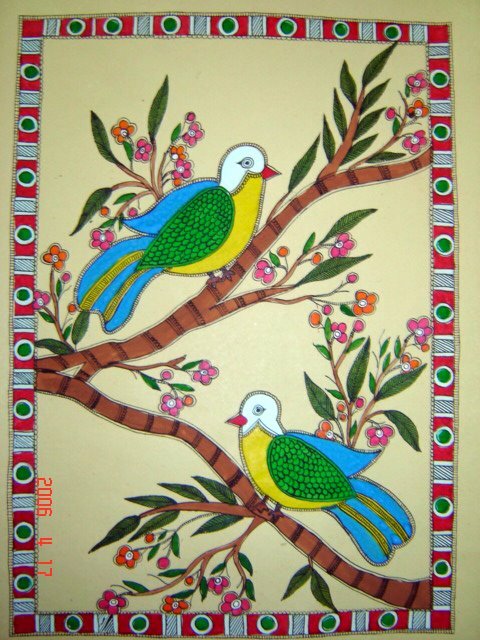 Depicted here is birds sitting on a branch of tree. 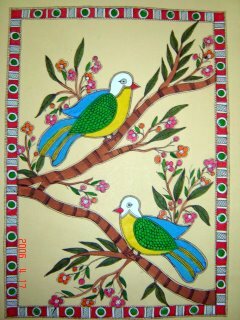 Birds are usually a symbol of freedom which offers happiness. 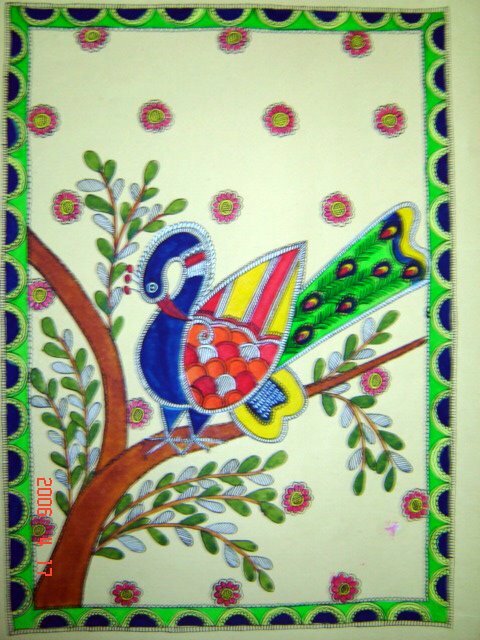 Depicted here is a peacock sitting n a branch of tree. Peacock symbolizes prosperity, peace, beauty and dignity.